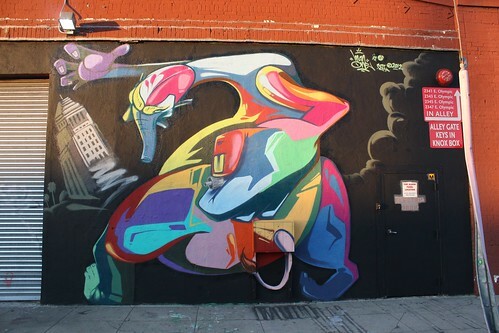 Just finished this mural located on Olympic near Santa Fe in Downtown LA. 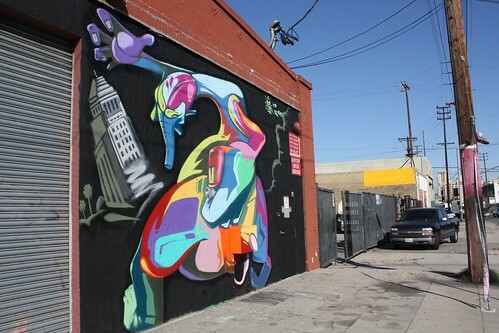 about what is public art and ending the mural moratorium. on community and youth culture. 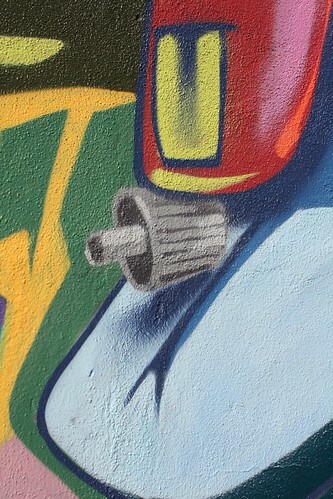 My Graffiti Spirits speak to that. 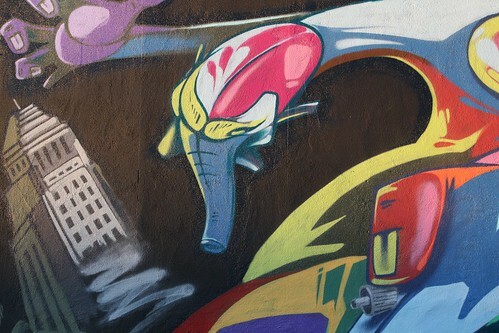 More pics of this wall on my Flickr.